Bringing joy to other’s is the greatest gift. 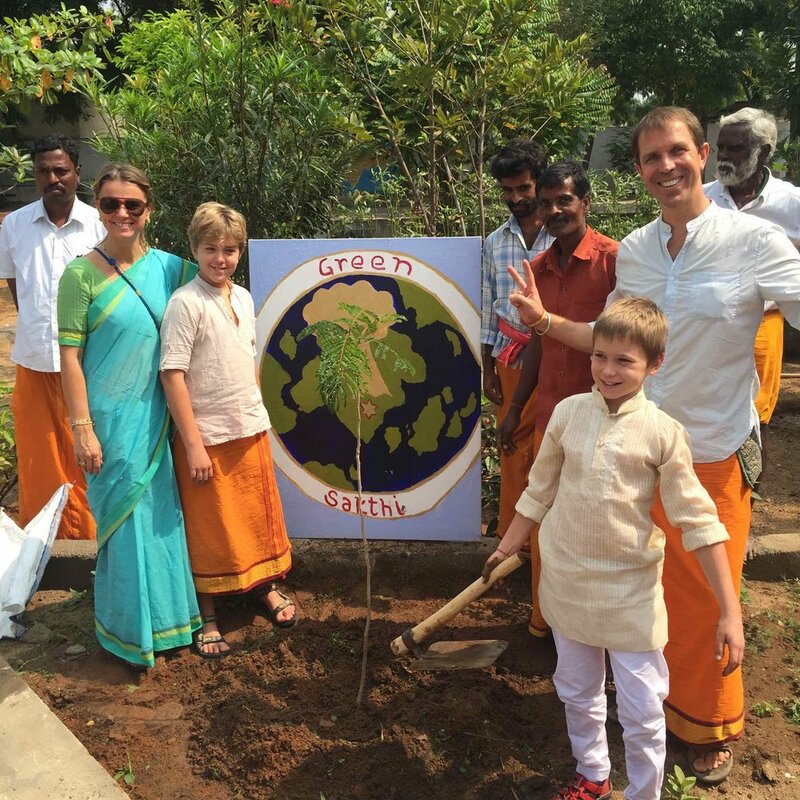 Being a volunteer at Green Sakthi is a very joyous opportunity. There are many ways you can give your time to Mother Earth at Green Sakthi, either at our schools or on our campus in South India. Planting trees happens every year from July - November. We plant trees locally and on campus with the help of our Green Sakthi Nursery team who help transport the trees, dig holes and deliver compost. 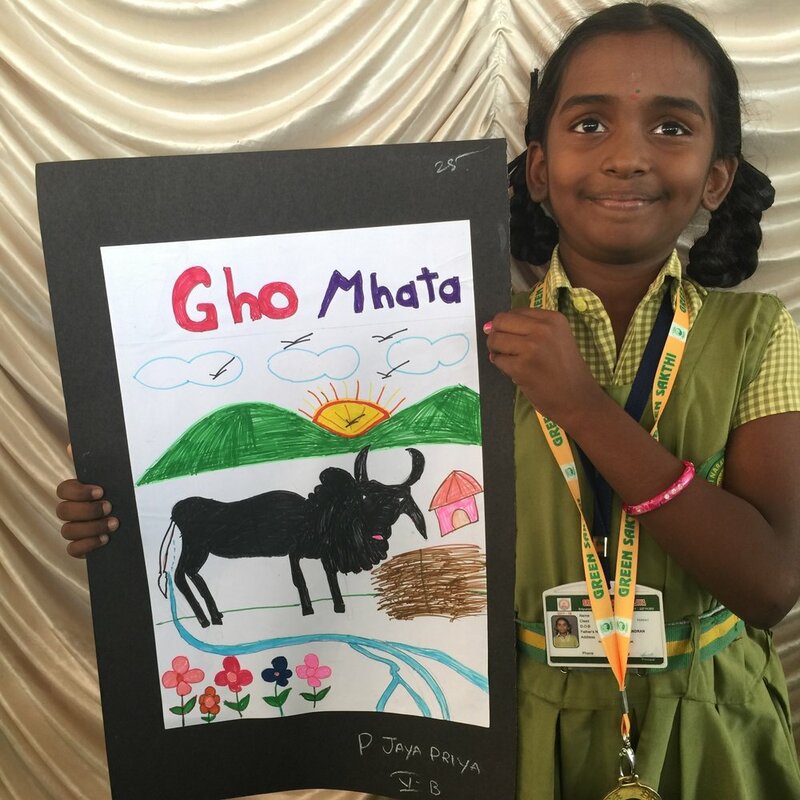 Visiting artists conduct these classes where students learn more about the cows or trees through drawing. Exercises in sketching are introduced so that the students can experience different ways of seeing. We maintain our beloved trees with love and regular watering, composting and weeding. We also do this as a part of our Green Sakthi Club activities at the school. 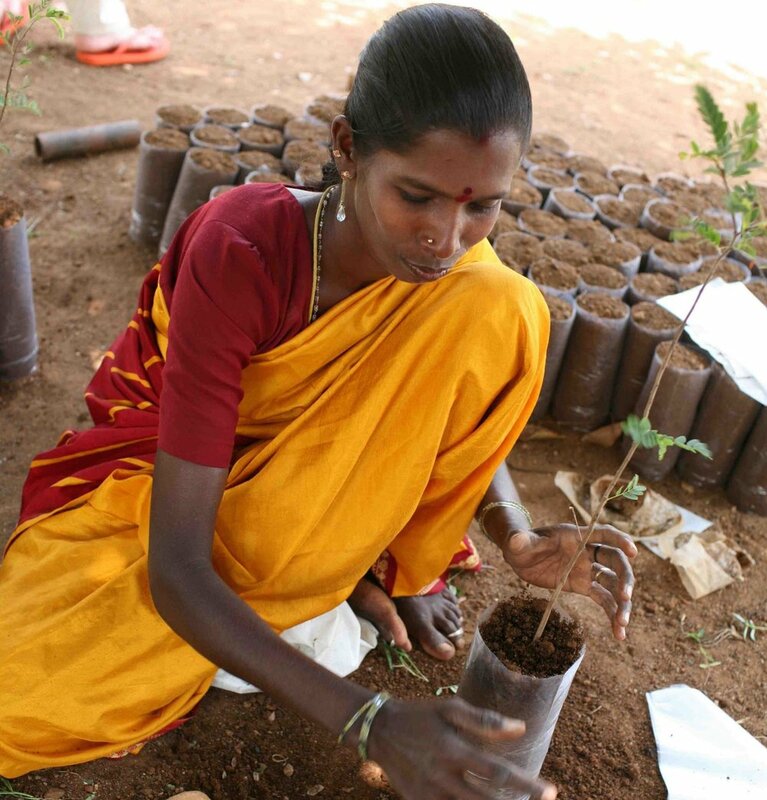 If you like being surrounded by the sweet sounds of nature and getting your hands dirty, you may enjoy helping out in the Green Sakthi Tree Nursery, where saplings need to be transplanted and weeds need be extracted. Are you a gardener? Would you like to start to discover the gardener in you? We have a lovely vegetable garden at our school which needs daily love and care. Each year, we hold competitions at the schools to raise awareness so the children deepen their understanding about the importance of appreciating and conserving their environment. Seva is a Sanskrit word that describes the act of selfless service. The act of seva leads to collective benefit and gain, although it is performed without regard for the outcome of the individual.